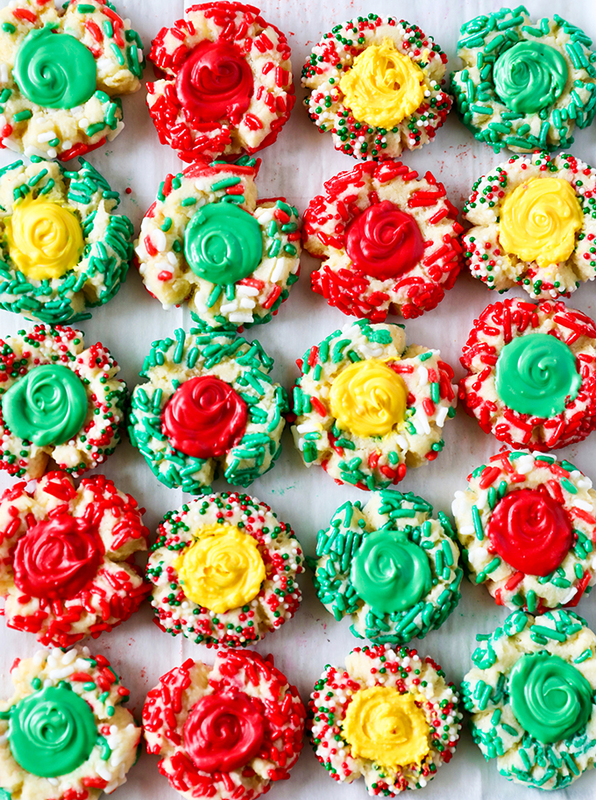 Thumbprint Cookies are so festive and fun to make, perfect for holiday baking! 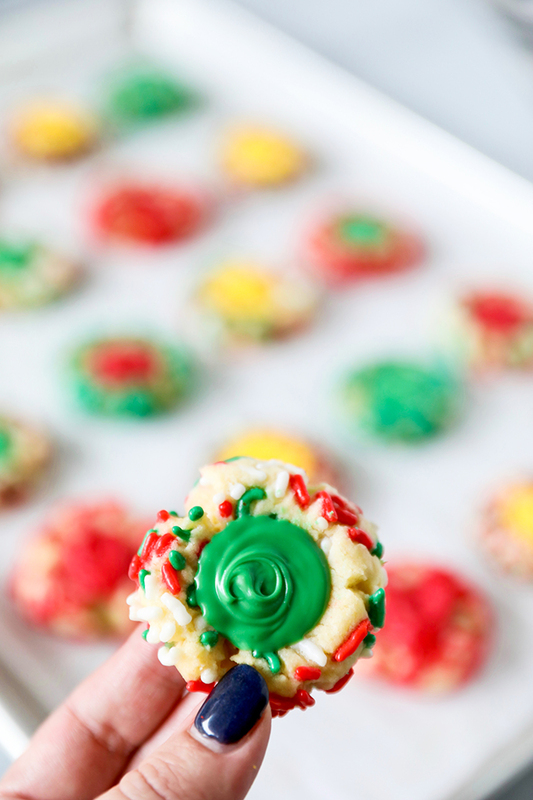 These thumbprint cookies are so delicious and easy to customize. I had fun making different variations and color combinations. I mixed a little yellow in with the green and red to bring in even more color! The secret to these tasty little thumbprints is almond extract – it’s a little warmer than vanilla extract. It just tastes like the holidays to me. 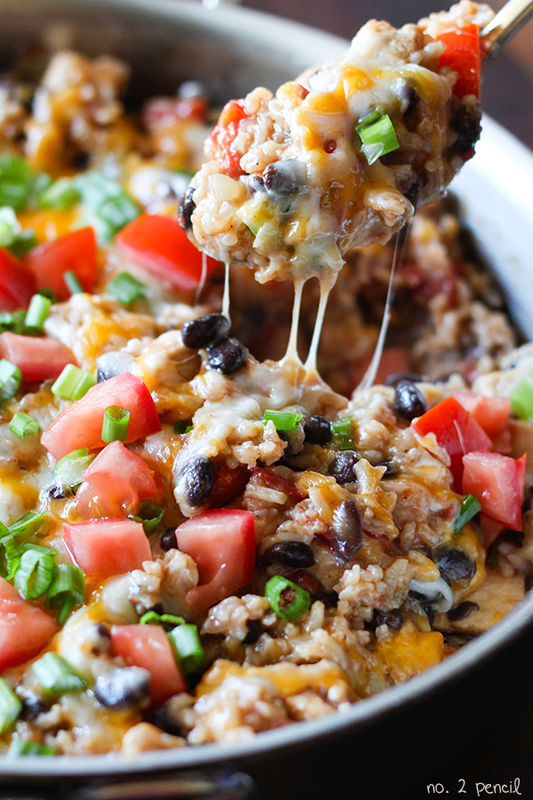 Start by mixing the cookie dough, then chill for one hour. 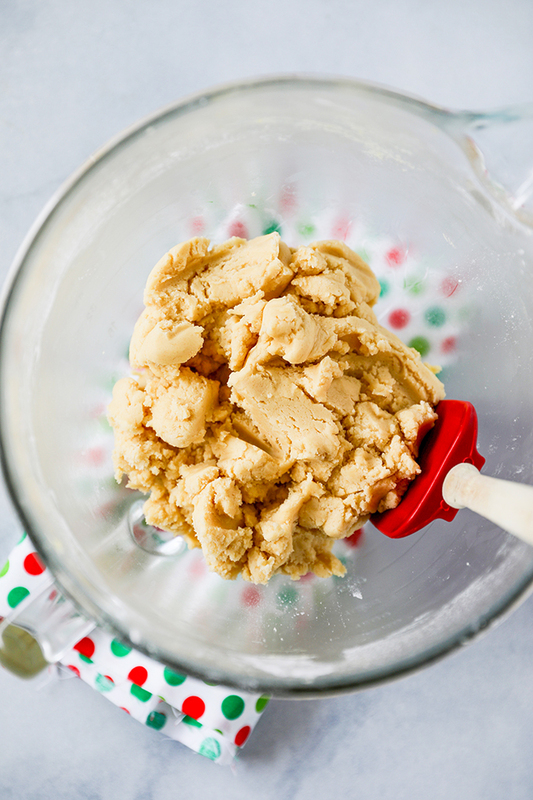 After the cookie dough has been chilled, use a tablespoon to measure and roll dough into balls. 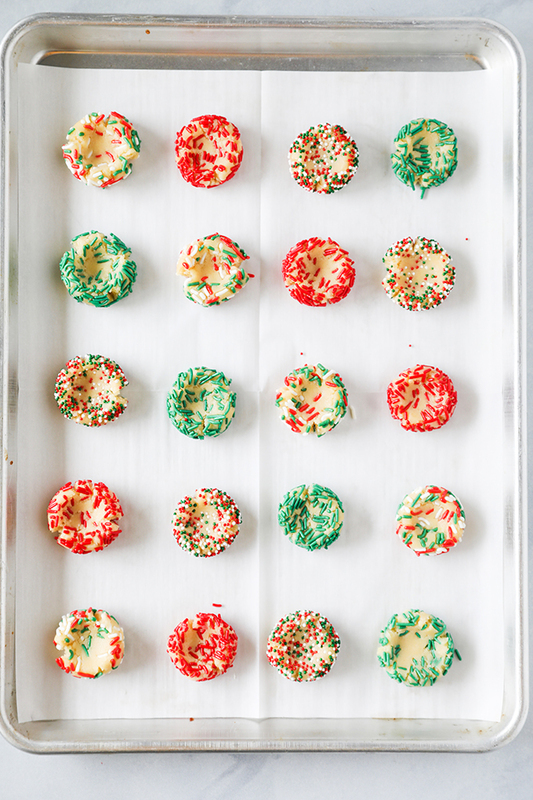 For these thumbprints, I used a variety of Christmas colored sprinkles and non pareils. 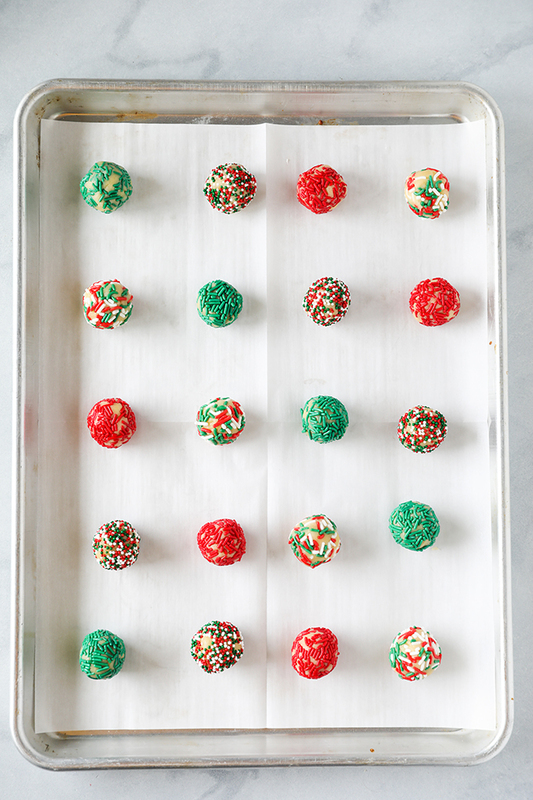 Roll the cookie dough balls in sprinkles. Then arrange on cookie sheet. 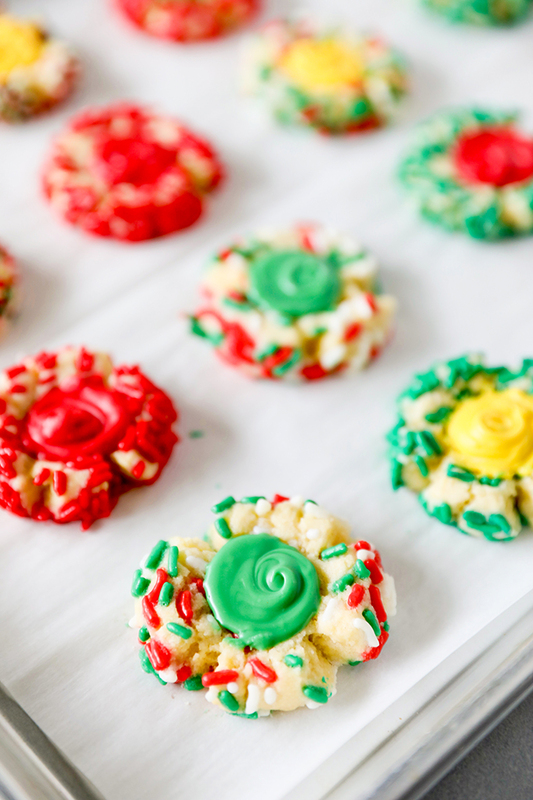 Use a teaspoon measuring spoon to press “thumbprints” into cookie dough. Bake for 10-12 minutes, or until cookies are a light golden brown on the bottom. Remove cookies from oven. 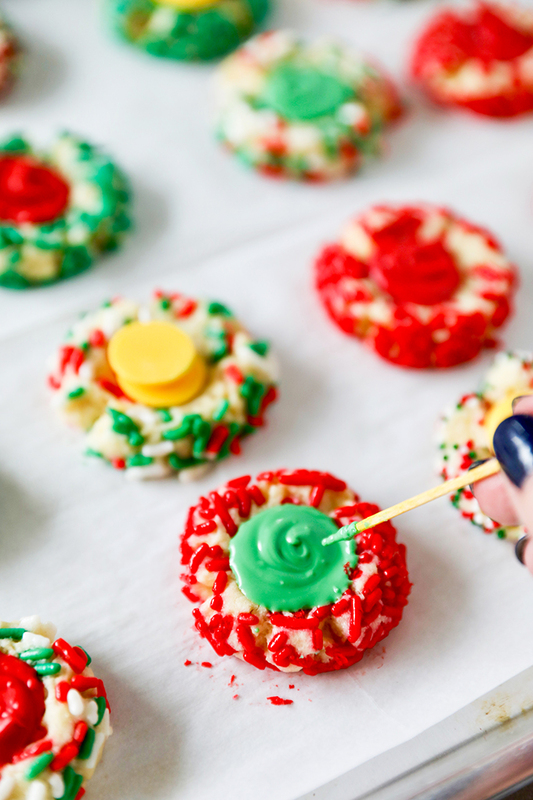 Working quickly, use the same teaspoon to press cookie back down if it has puffed up, then immediately place candy melt pieces in cookie and let stand. The heat from the hot cookie will melt the candy. Use a toothpick to create a swirl design. Let cool and enjoy. 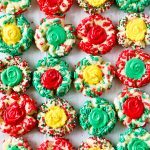 I liked using the candy melts for the frosting in this recipe because it hardens and makes the thumbprint cookies extremely easy to transport. 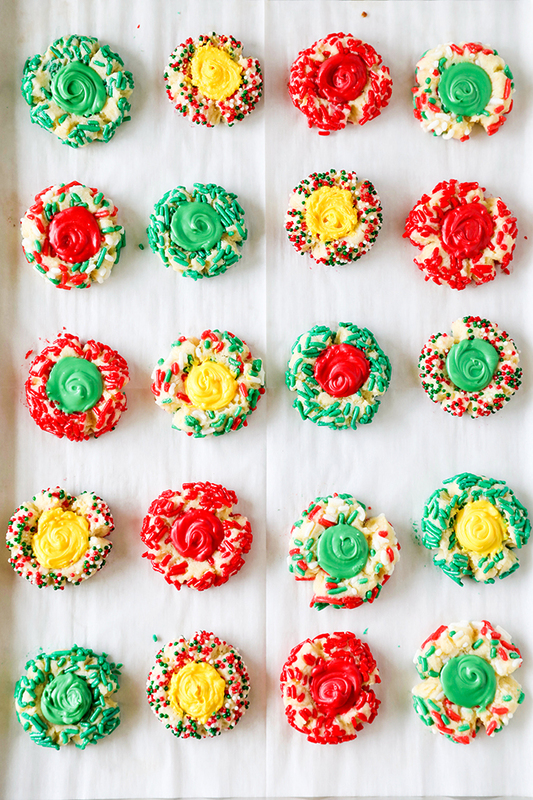 I also make a frosted version of these and will be sharing those very soon! 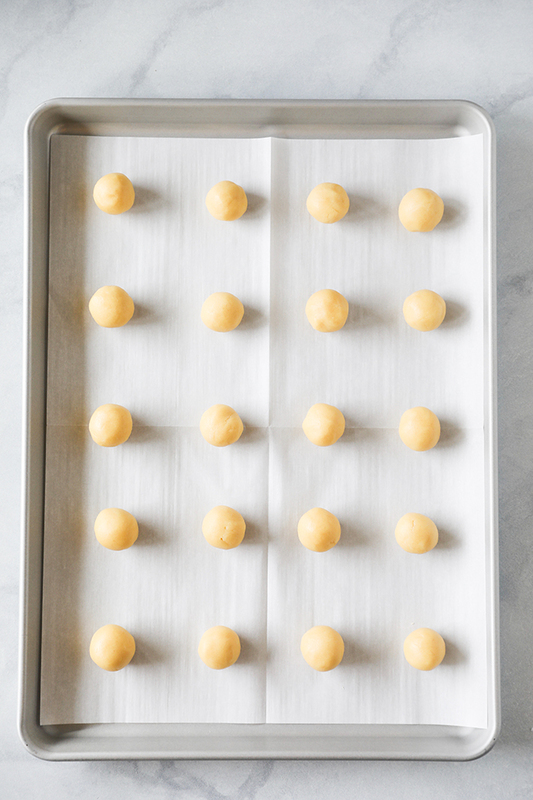 Line three baking sheets with parchment paper and preheat oven to 375 degrees F. Scoop 1 tablespoon of chilled cookie dough and roll into a ball. 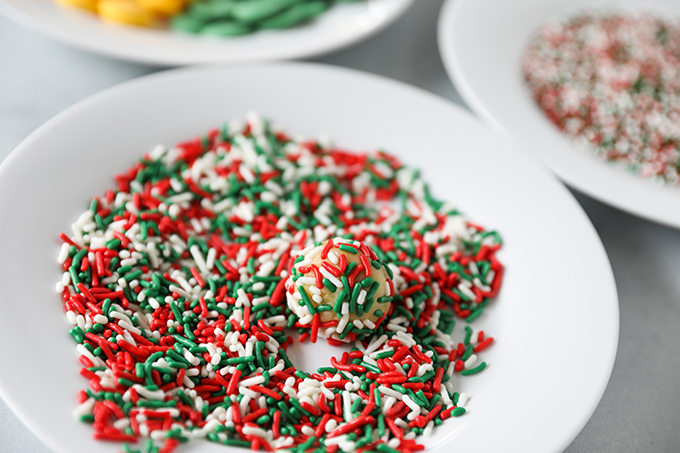 Roll cookie dough balls in Christmas sprinkles, then use a teaspoon to gently create thumbprint. Bake for about 10 minutes or until bottoms of thumbprints are a light golden brown. Remove from oven and while cookies are still hot, use teaspoon to press thumbprint down again if it has puffed up. 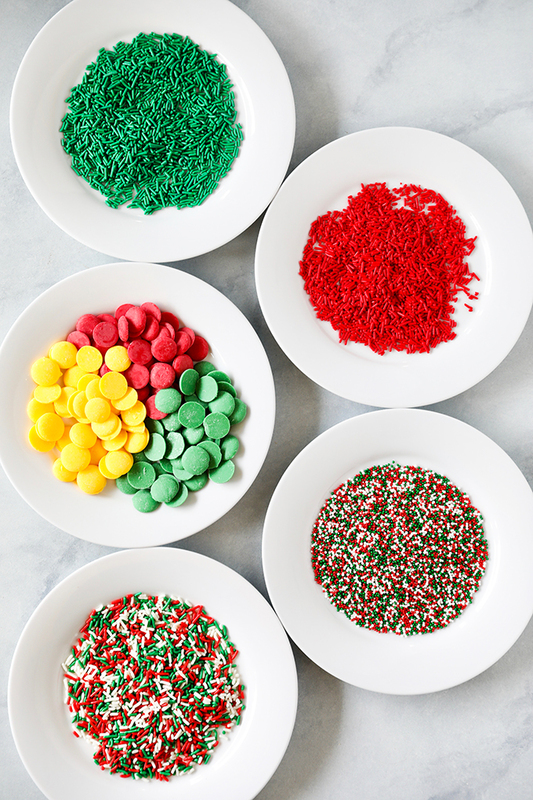 Working quickly, place candy melt in thumbprint and let sit until melted. Swirl with a toothpick once soft. Let thumbprints cool. So festive and perfect for gift giving!